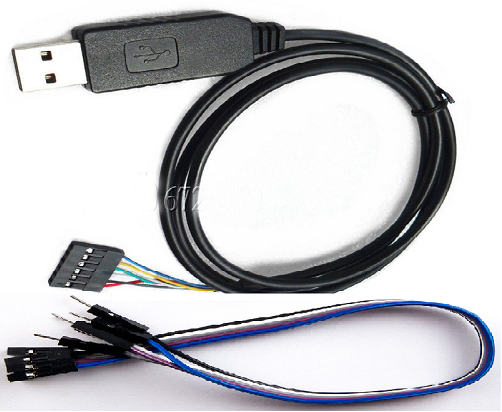 FTDI-based Serial TTL-232-3.3V USB Cable with Female and Male Wiring Harnesses. Compatible with Windows XP through Windows 7; Mac OS 8 through OS X, Linux and Arduino! 1. FTDI based USB to TTL Serial Cable are designed using the the standard FT232RL chipset. 7. Cables are FCC, CE, RoHS compliant and are available at TTL levels 3.3V. 8. The USB side of the cable is USB powered and USB 2.0 full speed compatible.